In fact, it seems like many people are still curious about what mobile trading is so we thought we’d provide you with a quick roundup of the ins and outs of mobile trading in 2019. 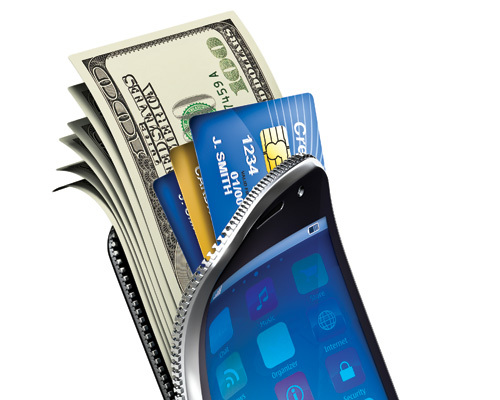 If you didn’t already know mobile trading is any type of trading that is performed on a mobile device. Only a few years ago, trading apps were basic with simple graphs and trading opportunities (in some cases), but the market is completely different today. You see, today’s trading applications are incredible, and they are almost comparable to desktop trading software. And As you can see if that list, most brokers such as Markets, Plus500 and eToro are offering trading apps. In fact, with an account with any decent broker or exchange, you should expect to gain access to a trading app that allows you to perform all of the analytic work and trading that you need. The only real limitation these days is the screen size which doesn’t allow for you to keep several graphs open at once. Naturally, the benefits of trading on a mobile device are many with the main one being accessibility. Today you can trade while commuting to work, while waiting for a meeting, on your lunch break, or anywhere else where you have access to a stable internet connection. This type of availability is something that traders could only dream of just a few years ago. What’s The Outlook for Mobile Trading in 2019? Over the last couple of years, brokers and exchanges from all over the world have allocated more and more of their effort into developing state of the art trading apps. In turn, this has led to an increasing number of people that prefer to trade on mobile apps and everything is indicating that this trend will continue to grow in the next few months. As an example, in 2017, half of all the transactions performed on the forex and CFD broker Plus500’s platform were done from mobile devices, and they are expecting that number to be much higher in 2019. With that said, mobile trading is still most popular among hobby traders since day traders rely on big trading rigs with several computer screens that allow them to better analyze the market. However, it has become increasingly more popular for professional traders to also use mobile trading apps when they’re out and about. The benefits of trading using a mobile app are many, and the possibilities that these apps allow are attracting a lot of new developments as well as customers to the industry. In turn, this is pushing brokers and exchanges to further develop their mobile software, and in the meantime, the industry as a whole is growing rapidly. Due to all of these benefits, mobile trading has become an unstoppable trend that’s on track to set records in 2019. By now the trend has reached a point where if you are an avid trader that’s not trading on mobile devices, you belong to the minority.